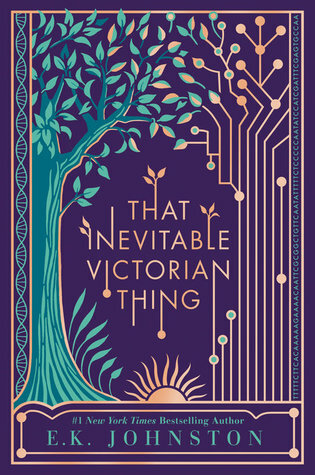 That Inevitable Victorian Thing by E.K. Johnston. She would do right by him, and hope that he could, at the least, respect her for it. She was almost positive he would, but the heart – ah, the heart – was the least logical part of the human body. If I start sounding a little old fashioned, I will entirely blame this book, which was an absolute delight to read for its slightly slow pace combined with its thoroughness. It’s a very alternate universe in which the British Empire continues to prevail but with the modern amenities and even more modern cultural views. I took great pleasure in the royal undercover story and the slow burn friendship to more with not just one but in fact three complications. And the thought experiment of what would have happened if certain events in history had played out differently is always something I will readily engage in. This book especially obviously made an effort to be as accurate and credible as possible in its alternate history and that really paid off. The characters are front and centre, which is exactly how I like them in standalone stories. If you had the option to change one historical event and visit (or live in) its aftermath, where/when would you use this power? For example how would today be different if Caesar hadn’t been hacked to death like the salad of the same name. Share your thoughts and teasers in the comments. Alternate histories are so much fun! This sounds like one I'd definitely enjoy. My Tuesday post features a family saga: Miller’s Valley. This sounds like a good one. Now I have another for my wishlist. Today I have Murder in Bloomsbury by D. M. Quincy. Happy reading!